With craft beer gardens and taprooms popping up in all seasons across Greater Boston, it makes perfect sense that Boston Public Market would become home to its own craft beer experience. The market exquisitely showcases all things local - from produce and seafood, to dairy and delicacies - and it has offered an eclectic mix of New England craft beer options since its opening in 2015. But now the craft beer will be available not just for purchase, but for pours! 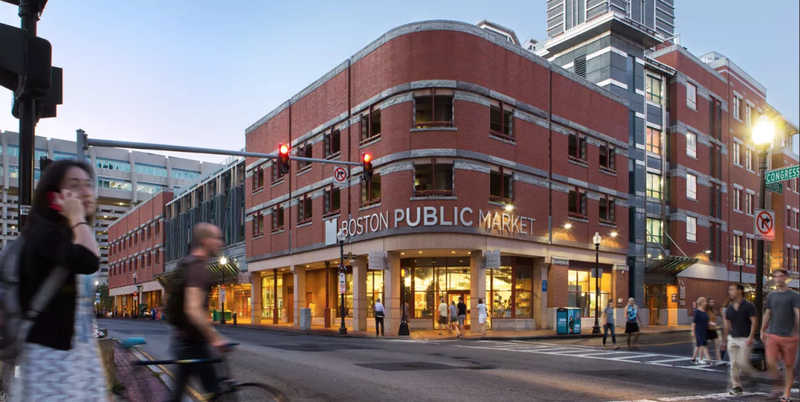 Boston Public Market has issued a "Request for Proposals" and local breweries will surely see this as a prime opportunity to partner with an innovative space in the heart of bustling Boston, right off the Freedom Trail and steps from Faneuil Hall. While there is no concrete timeline on when the market will select which brewery to work with, and therefore no timeline on when the new taproom will be unveiled, the hope is to have it operational by the summer of 2019. Cheers to that! !